Youth and young adults struggling with substance abuse, correctional circumstances, addictions, or just life itself can find freedom in this open, honest testimonial of recovery from drugs and alcohol! A true story of redemption through a higher power, Life Is…shares the author’s downfall into addiction and lessons experienced in his own passage from drug addiction. The author’s testimony gives the reader insight to change negative circumstances that have been passed down from generation to generation. The account of Suede Frunchak’s journey through struggles and life lessons propels the reader into a state of hope and self-assurance. 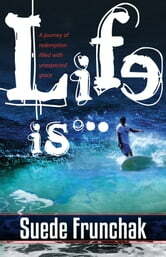 Life Is… is a clear translation of divine, forthright, standing courage, and biblical truth.